When we talk about eco-friendly aspects of everything around us, we need to have measurement criteria to judge and decide those actions which are harmful in regards to our environment. Recently in a debate where paper towels of hand dryers were examined as better solution for our environment, a peer reviewed study of hand drying system told that high speed dryers have small impact as compared to any other available dryer. This study has shown that hand dryers impact on our greenish environment is least and their GWP is also low as compared to other hand drying system. However impact of any item on environment is based on its “use”. Others factors playing minimum role in increasing or decreasing the GWP between 5 to 13 percent. Although other factors have minimum impact on the system, as long as dry time is similar from a dryer, the impact of such dryers will remain constant based on lower electricity usage and this is least we know. 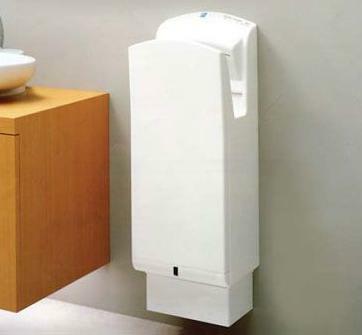 In 1993 when Mitsubishi introduced the Jet towel, the hand dryers’ benchmark was only 12 seconds then. In this study here we getting reference from, two types of dryers were used for analysis purpose and measured on the based on manufacturing company claimed dry time vs. final testing by Dyson Limited. But Mitsubishi towel as tested By Dyson required only 3.5 watts to dry the hand pair and took 12 seconds and had 20 percent more efficiency over any other dryer. When other factors like transportation, packing, production and non-electrical contributions were added in, still Mitsubishi Jet towel had lowest GWP as compared to other dryers. When GWP of other factors was set at 4 to 13 percent and added to these above numbers, it represented as 96 percent or 88 percent of total GWP while Mitsubishi Jet towel value was 96 percent of electricity value. When GWP was set at fixed level of 13 percent, still Jet towel had lowest level of GWP for its system as found in this study. 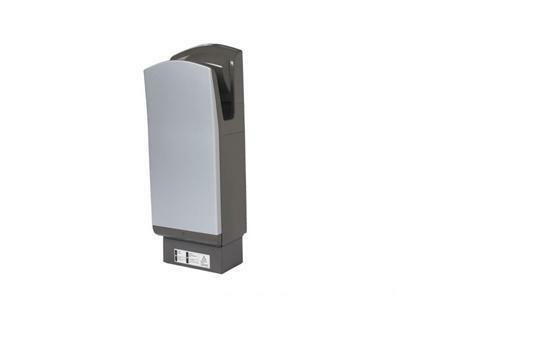 Although now many other efficient hand dryers are available in the market, still they were compared with Jet towel; its performance was much more than other else. In seven of eight comparisons, Mitsubishi had least GWP value. This is the reason why Mitsubishi continued to be environmental leader and invented the Jet Towel, told the CEO of Pacarc, James Allard. Mitsubishi has improved both the time and design of jet towel since its first design launching in 1993.